We are fortunate this month to be featured in Gulf Coast Bride magazine with an article telling the SOHO story . We are an event couple that has always enjoyed hosting, executing, and attending events. After working in the hospitality industry for a combined 30 years, primarily in sales and operations, it was time for us to bring our ideas to the local event industry. Our combined expertise and professional guidance in the special events industry would be the foundation for our leap of faith into the rental industry. In February 2014, we formed SOHO Events and Rentals, a full service rental company, SOHO, short for SOuthern HOspitality. Our company offers a full line of event rentals including, tents, furniture, china, linen, chairs, tables, staging, and dance floors. The goal was to merge our event experience with the rental industry and create a true event rental company. We interview, hire, and train the SOHO team with an emphasis on events & hospitality. The first purchase was 50 used white wood folding chairs with the intent of rehabilitating the chairs to rent. Shortly thereafter we bought wood banquet tables, white resin chairs, and chiavari chairs. SOHO was first based out of our home, with the garage as storage, but the growth happened so quickly that we soon had to start adding storage units. In July 2014, the first showroom opened at 5906 Sweetwater Circle in Fairhope, where we are open Monday – Saturday to meet with clients. The SOHO motto is “Be Inspired”, and from the beginning the mission has always been to be the best event rental company in the region, by providing exceptional products at a fair price with unmatched service. We believed if we hired good people and treated them fairly, and focused on this mission, that SOHO would be received well in the marketplace. As we head to the end of our third year, SOHO is the largest rental company in Baldwin County and a leader along the Gulf Coast and throughout the South. We have over 25,000 sqft of warehouse space, and the 2,000 sqft showroom in Fairhope. (*edit: we are also opening a new showroom at 359 St. Francis St, Mobile, Al 36602) Currently, SOHO has over 4,000 event chairs with the largest selection of inventory on the Gulf Coast, including chiavari chairs, louis pop chairs, caneback louis chairs, copper marais chairs, barstools, and crossbacks, to name a few. In the beginning of 2016 we put an emphasis on furniture and SOHO is now the leader in event furniture rentals with over 500 pieces, including stage façade, bars, and leather furniture in white, red, purple, pink, brown, black, and metallic gold. 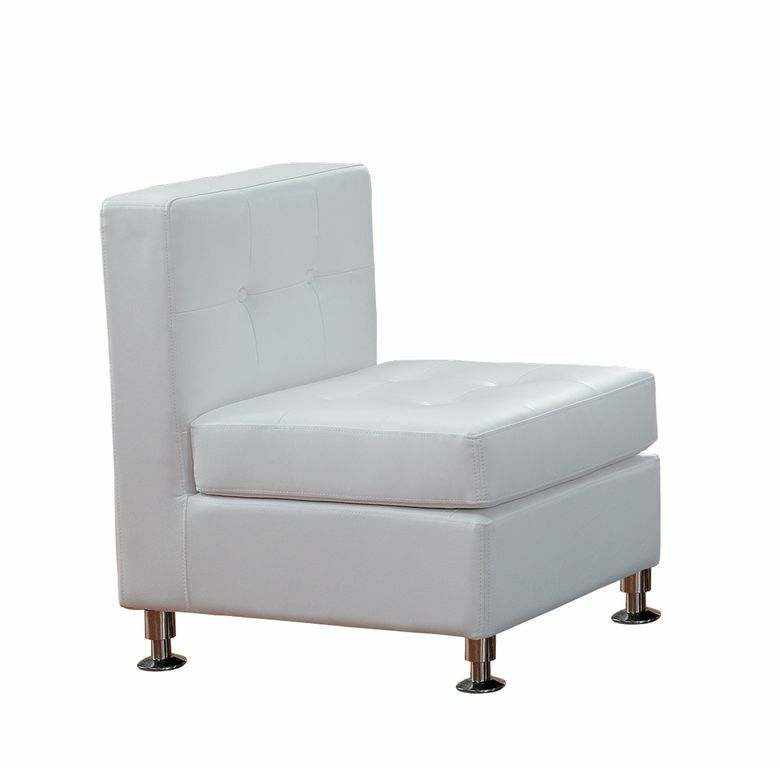 SOHO has done events which featured furniture seating only for over 350 people. Also in the furniture division, SOHO offers custom designed bars, tables, etc for clients that feature their monogram or corporate logo. Many years ago we fell in love with sailcloth tents and wanted to introduce these romantic tents to the area. Today SOHO is a leading provider of Sailcloth Tents in the Southeast, including the largest in the South at 60’ x 120’. Beyond sailcloth tents, we have a wide range of tenting options including structure tents, frame tents, and pole tents. Also in the tent division we offer beautiful hardwood flooring as an option under the tent to help enhance the event. After three years of building SOHO, we are very blessed to have had the opportunity to work with some wonderful clients and their amazing events, and are fortunate to have a great team at SOHO who work every day to provide the SOHO Experience for our clients. Oh, and yes we still have the original 50 chairs, but unfortunately haven’t had the time to rehab them. Introducing the newest addition to our sailcloth tent line - the 60x, shown above as a 60' x 120'. Ya'll know how much we love the sailcloth tents with their beautiful lines, that are so elegant and breathtaking. With our beautifully finished wood poles that help create a romantic setting for celebration and the translucent tent top glowing in the night sky your guests will say WOW! We carry a full line of sailcloth tents including 20' wide, 40' wide, and 60' wide to accommodate any size event. the beliefs or opinions that are generally held about someone or something. We get it, you've a got an image to uphold for your clients, vendors, partners, and employees. Your reputation and brand are invaluable and your business, career, or next sale could be riding on it. We get it. This is why we started SOHO. Below are a few pictures from a recent event with a client with a prominent reputation. We created a meeting set for 200 attendees with a mixture of white leather furniture, chiavari chairs, bar stools, white leather egg chairs, and charging stations. To help bring the event together we created custom pillows to match the table linens and then custom tables for the guests in the furniture. 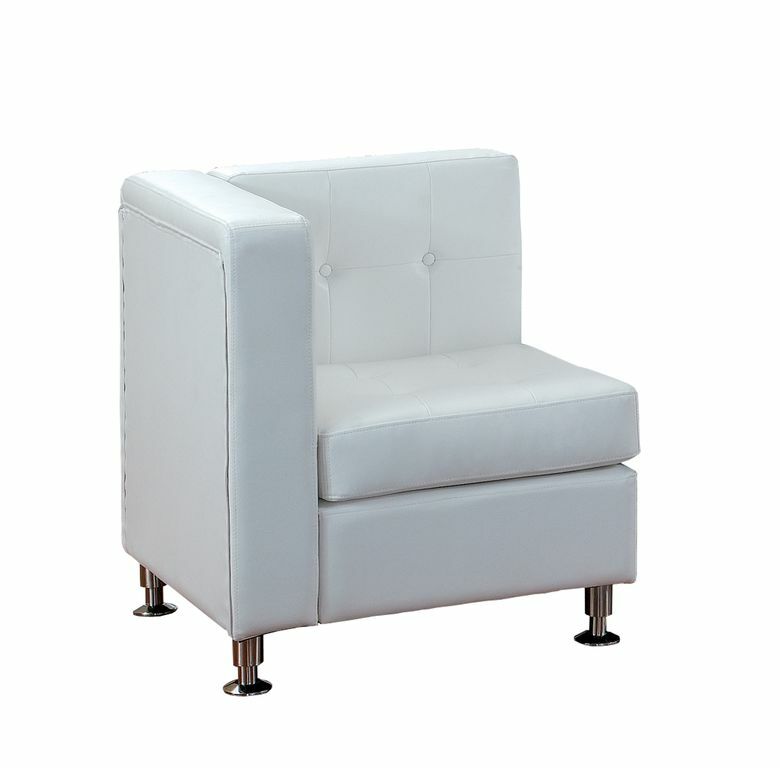 We know how much everybody is loving our Event Furniture options, so we wanted to let you know that we have new white leather furniture! 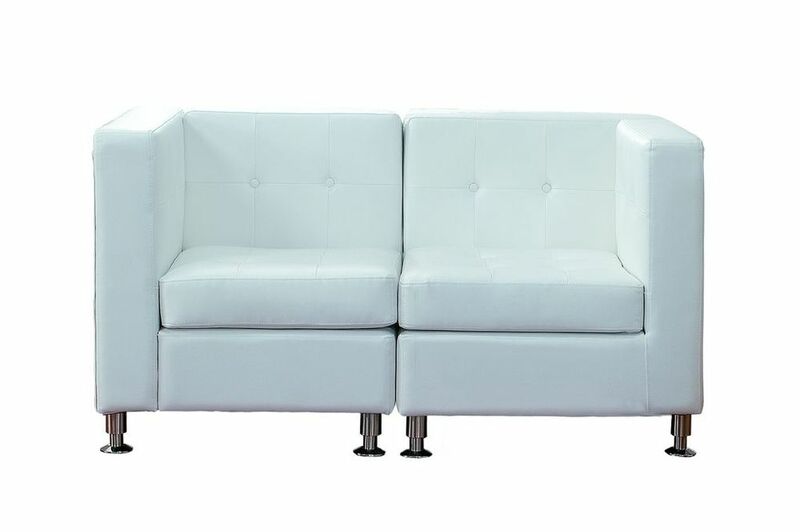 This new white leather furniture is modular, so we can connect it to make whatever shape you'd like or to help fit a certain space at your venue. 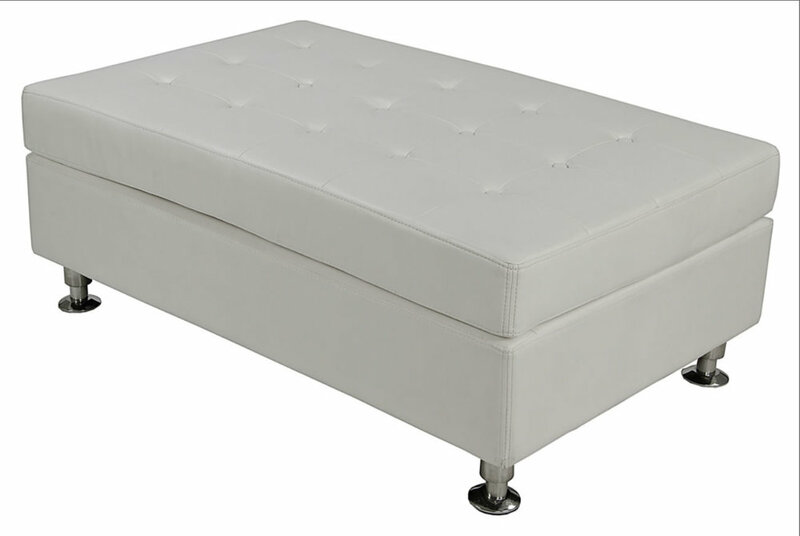 All of these pieces are button tufted white leather and match our white leather tufted banquettes that you have seen at other events. Tips for planning the perfect outdoor wedding.